How are you going to get your horse fit? I was asked this question when I bought a new horse in July and was planning on hunting it 3 months after settling him into his new home. “How are you going to get him fit?” ….. How would I get a human fit I thought. I would write a training diary and regime and use the heart rate as a gauge as to how fit the animal was. On looking into this I realised horses and humans are animals and whilst having the obvious differences they are essential muscle, fat, bones, organs and water. They need the same dietary requirements of protein, fats and carbohydrates for the same things. Food sources are different obviously. But we can learn a lot about ourselves form our furry neighbours – we find similar things too much as well – sugar, starch and fats … should be in limited supply. Protein – the big question is always how much because we have to get rid of what we don’t need which is where it taxes the system. So on the exercise – how do I know how puffed he is – the perceived rate of exertion with humans is about talking to the client and seeing how fatigued they are. I can look at his demeanour or see how much puffing he is doing, but to really know I need a Heart Rate monitor, then I can see when he is getting anxious, when he is tired, what he looks like when he is concerned – I can learn my horse much quicker. So I spoke to a contact at “Polar”, we use their equipment in the gym. They have two different types of monitor, a belt like us – but this is actually quite hard to use with a girth and saddle o r even a lunge roller. So they have devised a system with just sensors which you poke under the girth. I have yet to try that, but have definitely learnt the merits from using this equipment so far and can now make my training more meaningful and more specific. 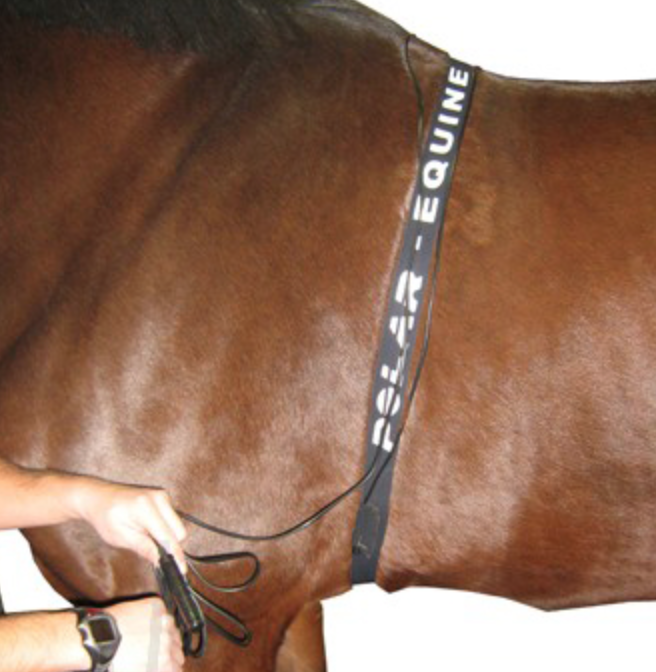 For more info google “Equine Heart Rate monitors”, for use and how to etc.